It is good to have a custom domain if you're a regular Blogger or Publish articles. Custom domains helps you to gain SEO and made you genuine in a rapid growing internet. Today anyone can open a Blogger account, Wordpress account, Tumblr account but hard to gain Domain because it is not free, securing Domain of your space will make you different then what it used to be with by default link. You could have your own desire link along with .com, .in, .net, .org etc. whatever you feel comfortable and your site suits with. In this Blog we will cover up how to Migrate Blogspot URL with Custom Domain in 2 Easy Steps. Basic thing first, Google's Products are very easy to handle and tats why it is easy to migrate too, if you lived in US then there is no problem at all since Google themselves sell domains there. Hence it is recommended to buy Domains from Google if you wants to use it on their service. As you just needs to register and complete formalities and let Google to pick the rest of the work. But even if you buying Domain from other Third Party then also its not a hard task to settle but depends on how much Google and that Third Party Distributor coordinate with each other to upgrade the things. Outside US we have to go with any Third Party Domain Distributor. Nowhere days we have lots of local companies too but things we have to understand that no matter how much discount they gave they have to be in the list of Google who actually sold Domains as its a matter of 2 parties. Domain Seller and Google as a Host until and unless both won't be united things will not be into the right track and our online dream will remain off. Since even Google put Godaddy.com first on their list and we founds that Godaddy is the most suitable to buy domain as in India Godaddy sold domain in Rs. 99 PM* (but annual commitment of 2 years required) hence we picked them first. Second thing that it doesn't matter from where you're buying Domain, thing which is matter most that whether Google able to verify you or not. Google don't knows you physically then how they will believes on you that you own a Domain ? In simple you needs to follow some steps of Google to make sure they able to got you and allow your custom Domain into your Blogger site. Now as we purchase Domain from any Registrar we first needs to go through Blogger to do some settings. So Goto Settings> Basic> and click on "Add a Custom Domain"
Enter the Domain Name you registered including "WWW" and click save. Remember you must have write WWW after clicking to save you will get a Error code (Error 32) in Red Font, don't be panic since Google don't know you're the legitimate person who own that Domain. Now you will get two highlighted information these two you have to enter on your Domain Provider Site. The first information will be common for everyone the second will always be uniquely provided by Google for the resp. Blog. To play safer side it is better to copy these infos somewhere in the notepad for future references. Now you have to way to proceed either make entries in the particular site manually or you can use Google Webmaster Verification. These entries considered as CNAME settings means Google's random field for the particular Blogs have to enter in the Registrar's Website otherwise both Registrar and Google will not able to move further and will not able's to verify you. Above link will help you to go through in a process of Google to Verify yourself, Process can vary sites after sites but we feel Godaddy is a best option among others on verification but you can proceed with any, remember you have manual way to go through also. Note: We're here dealing with Godaddy hence our process is based on it, but other registrar too got the same process so no worries for example purpose we're using Godaddy. Last but suddenly not the least by these settings your Domain only be Verified but as of now not yet redirected hence we have to make a final settings. Under CNAME table, beside the "WWW"click on the edit icon. Replace @ with "ghs.google.com" and click Finish. Now all done, DNS Settings will take 24 - 48 hours to change so your website will or may not gonna work straight away so for that time your registrar will park your Domain Address Idol. Meanwhile we skipped a settings called "A Records" which we feel is not that important if we're making redirection settings in Blogger. After your Custom Domain start working,on the setting page of Blogger, click on the Edit Link beside your Domain Name and make sure you check the above Checkbox. This will prevent users to get any error message if they skips WWW which is obvious people do that with the link. 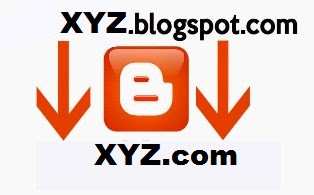 Hope you like this blog "2 Easy Steps to Migrate your Blogspot URL with Custom Domain".